"Witness the birth of a terrifying ego." 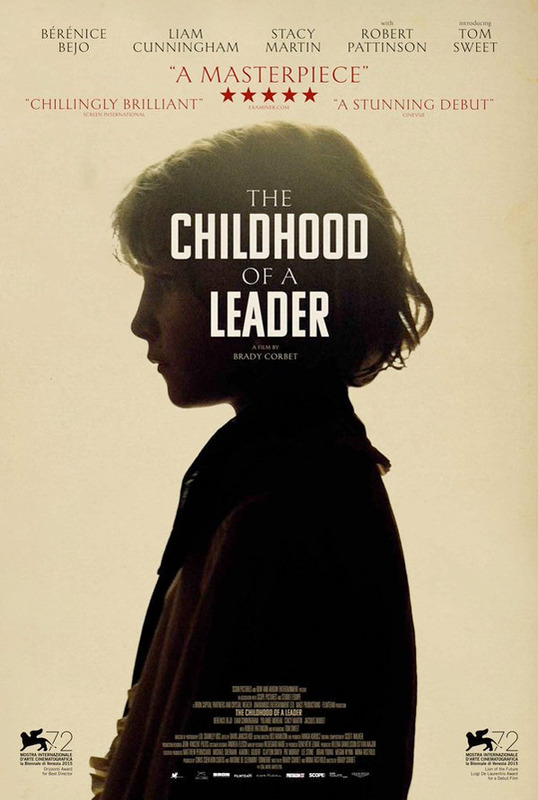 The first trailer has debuted for a film called The Childhood of a Leader, which is the feature directing debut of the talented actor Brady Corbet, who has appeared in a number of excellent indie films over the last decade. Loosely inspired by the writings of Jean-Paul Sartre and Margaret MacMillan, the film tells a coming-of-age story of a young French choirboy whose father is a diplomat assisting President Woodrow Wilson in the signing of the Treaty of Versailles. Tom Sweet plays the boy, and the cast includes Bérénice Bejo, Liam Cunningham, Stacy Martin, Yolande Moreau and Robert Pattinson. This certainly does look like something we've never seen before. Take a look below. Independent film mainstay Brady Corbet (Mysterious Skin, Martha Marcy May Marlene) delivers one of the most audacious directorial debuts of the year (winning two major awards at the Venice Film Festival) with this allegory of totalitarianism in the wake of World War I. Loosely inspired by the writings of Jean-Paul Sartre and Margaret MacMillan, The Childhood of a Leader is a nightmarish coming-of-age tale charting the early stirrings of despotism in a French choirboy (chillingly assured newcomer Tom Sweet), whose father is a high-ranking diplomat assisting President Woodrow Wilson in the signing of the Treaty of Versailles. Corbet's ambitious reflection on the dark forces of history features a special appearance by Robert Pattinson and a thunderous orchestral score by avant-garde icon Scott Walker. This first premiered at the Venice Film Festival last year. No official US release date is set yet. Thoughts? I have no clue what I just watched, and I want more! Was this movie shot purposely in low light ?